The former party boss of Shanghai has been kicked out of the Communist Party, moving him one step closer to standing trial on corruption charges, state media reported Thursday. Chen Liangyu - the highest-level party official to be dismissed in a decade - was also removed from all his government positions, state television said in its evening broadcast. The moves formalize the end of an investigation into Chen's involvement in a high-profile pension scandal in Shanghai that saw dozens of people arrested. "Today, the Politburo of the Communist Party met and decided to expel Chen Liangyu from the party, dismiss him as a public servant and hand over his case to the judicial department," CCTV reported. "His activities seriously violated the discipline of the party, damaged the interests of the people and the image of the party, and were a vile social influence," it said. Chen is accused of being at the center of a scandal last year over the alleged misuse of about US$400 million (Ђ290 million) in pension funds that were improperly invested in real estate and road toll projects. CCTV said an investigation found Chen had abused his power by lending large amounts of money from the fund and helping private businessmen purchase stakes in state-owned companies, resulting in huge losses. "He and his family members bribed others to help them make illegal profits. He had bad moral standards and took advantage of his position to dally with women," CCTV said. The scandal comes as the Communist Party tries to crack down on widespread corruption ahead of a party congress later this year. Shanghai government officials announced in May that all the misused funds had been recovered, but the results of a secretive investigation into the case have yet to be announced. Earlier this year, the head of Shanghai's multimillion dollar Formula One auto racing track, Yu Zhifei, was fired in connection with the scandal. 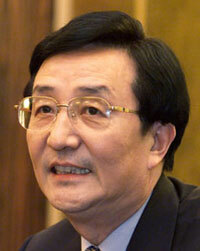 Yu, thought to be a close associate of Chen's, is one of more than a dozen people reportedly targeted in the probe. The announcement of Chen's dismissal comes the same day a state-run newspaper reported that a former head of a district in Beijing had also been expelled from the party because of corruption allegations, in the latest graft-related dismissal before Beijing hosts the 2008 Olympic Games. The Beijing Daily said Zhou Liangluo, 49, the former head of Haidian district, "abused his power to profit himself and others and took a huge unspecified amount in bribes while serving as a senior party and government official in the Chaoyang and Haidian districts." "He has been morally degenerate and led a corrupt life ... which undermined public confidence and political influence," the Beijing Daily said, citing a statement from the party's Beijing disciplinary body. "He should be punished severely," it said, adding Zhou's case was now being investigated by judicial authorities. The newspaper did not say what Zhou was accused of. Last summer, the government fired the vice mayor of Beijing, who oversaw Olympic and related construction projects, for what was later described as "quite serious" wrongdoings. Massive construction projects are evident in Chaoyang and Haidian districts for the Summer Olympics that start Aug. 8, 2008, but Beijing officials have said Liu Zhihua's alleged misdeeds did not involve Olympic projects.